The Green Bay Gamblers saw their season come to an end, falling to the Youngstown Phantoms 3-1 on Sunday afternoon at the Covelli Center. The Gamblers were eliminated from the best-of-5 series in four games. Green Bay was bounced from the playoffs in the opening round for the first time in five seasons and will not be in the Clark Cup Finals for the first time since 2009. Defenseman Christian Wolanin scored the only goal in the loss for the Gamblers. Tony Kujava suffered the loss, stopping 20 of 22 shots for the game. Youngstown will face the winner of the series between Dubuque and Muskegon in the Eastern Conference finals. three straight games, including yesterday’s 2-1 clincher in Indianapolis. 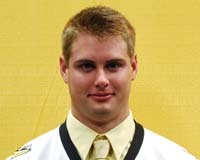 Nicholas Schilkey scored a power-play goal at the 12:16 mark of the third period Sunday to lift the Gamblers to victory. The Gamblers are the first team in USHL history to advance to their 3rd straight Clark Cup finals. Ryan McKay finished with 29 saves to earn the win. Green Bay will now await the winner of the Western Conference series between Lincoln and Waterloo. That series is tied at 1-1. The Green Bay Gamblers converted 3 of 4 power play chances and rolled to a 6-2 win over the Indiana Ice in the opening game of best-of-5 Clark Cup semifinals at the Resch Center. The Gamblers meanwhile held the Ice to 1-for-6 on the power play. Indiana came in as the most efficient team in the league on the power play (24.88%). 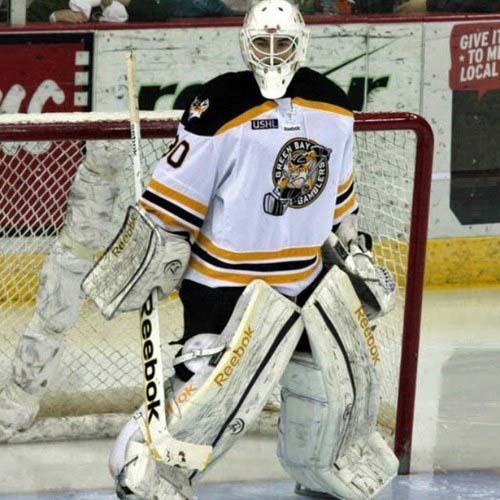 The Gamblers were outshot 41-27, but Gamblers goaltender Ryan McKay came up with a career-high 39 saves in the win. Green Bay will host game 2 of the series at the Resch Center tonight. Green Bay Gamblers assistant coach Jon Rogger will be leaving the team at the end of the playoffs. Rogger has been hired as the new head coach of the Des Moines Buccaneers. The 34-year-old Rogger joined the Gamblers franchise in 2008. During his four years, the Gamblers produced a league-best 172-51-17 record. Rogger interviewed twice for the Gamblers head coaching position. He’ll take over a Des Moines program that has missed the USHL playoffs each of the last five years.